We love Everyday Carry Cutlery (ECC) around here. And we also are enamored with anything so nice they name it twice. This ECC product is perfect for the purse, backpack, lunchbox or picnic basket. 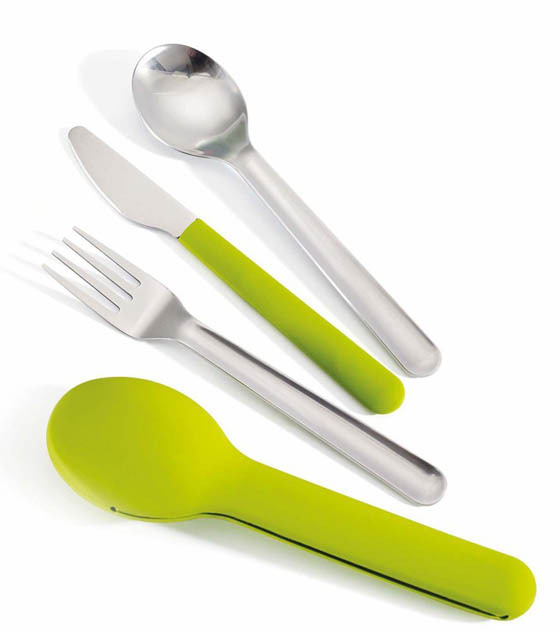 The company “Joseph Joseph” brings us their GoEat Compact Stainless-Steel Cutlery Set. This 18/10 stainless steel dishwasher safe set includes a full size knife, spoon, and fork. And the cutest little compact silicone case.